The client wanted a number of recipes and styled food shots for their new website and for their socials. In talking with the client we discovered they had opened a new showroom selling high end cookers and cooking equipment. We wanted to give value-added, so we suggested to the client that we developed recipes that required specific cooking equipment which could be purchased at their showroom. 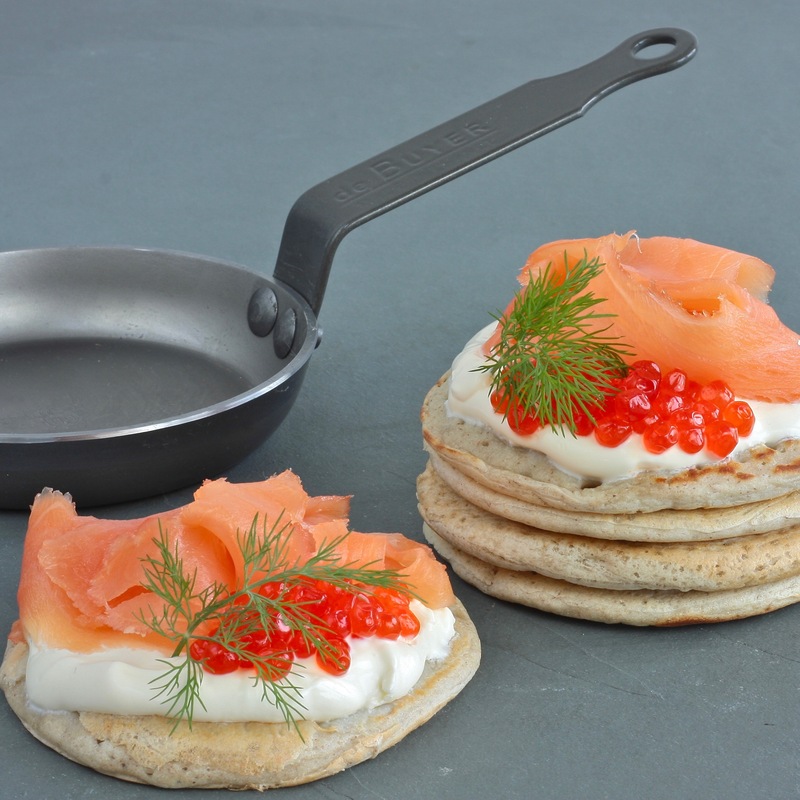 Having consulted their stock list, for this particular recipe, we selected the blini pan and developed a recipe using this piece of equipment. As a result of this recipe project, footfall increased to the client’s showroom and sales of the selected cooking equipment took off!